It’s Time for the DJ Screw & Houston Hip Hop Exhibit and Conference! 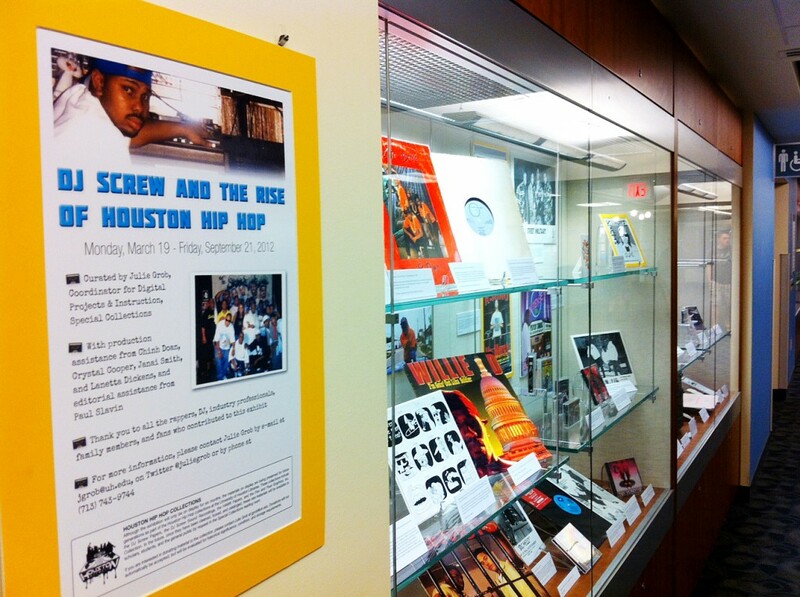 Special Collection’s new exhibit, DJ Screw and the Rise of Houston Hip Hop, is now open to the public in the MD Anderson Library on the University of Houston campus. This exhibit tells the story of DJ Screw, the originator of the “chopped and screwed” genre of production, and the collective of rappers and friends known as the Screwed Up Click. While telling this story, the exhibit looks at the larger context of theindependent, entrepreneurial, and rough-edged Houston hip hop music scene. A handful of the items in this exhibit can be viewed online in the DJ Screw Photographs & Memorabilia collection, but if you live in Houston or will be in Houston between now and September 21, a visit to see the entire exhibit is in order! If yesterday’s dose of hip hop coverage wasn’t enough, take a look (and listen) to these two interviews about the conference and exhibit. Interview: Julie Grob, Abcdr Du Son. This interview in a French webzine contains great information about the materials in the hip hop collections, and the motivation for collecting them. UH Moment: DJ Screw. If you missed this on the radio yesterday morning, you can listen here and read more details. If you’d like to attend the conference next week, be sure to register today! Two recent stories have been published about the DJ and Houston Hip Hop exhibit and upcoming conference, so take a look! Friday is your last day to register for the conference, so don’t delay! Watch this blog for more information about the exhibit next week. 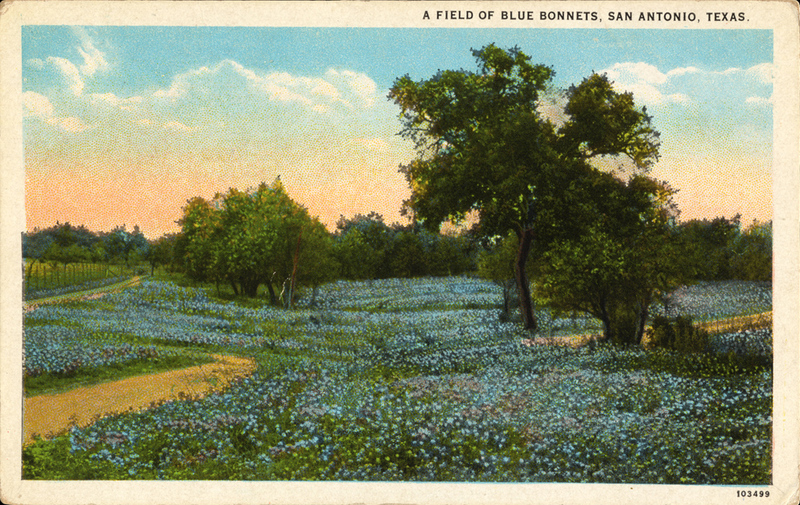 It’s Spring Break here at the University of Houston, and that means we will have special hours for the Special Collections Reading Room. We’ll be open our normal times, 9 am – 5 pm, Monday through Thursday, but we’ll be closed Friday and Saturday. We’ll reopen at 9 am on Monday, March 19. The U.S.S. 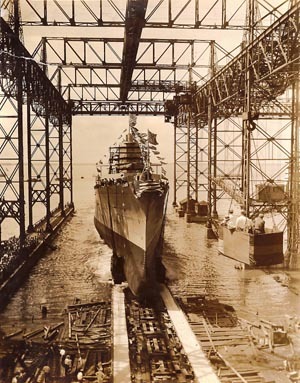 Houston (CA-30) was launched on September 7, 1929 in Newport News, VA.
Today marks the 70th anniversary of the sinking of the heavy cruiser U.S.S. Houston (CA-30). The Houston was the flagship of the U.S. Asiatic Fleet during World War II. On March 1, 1942 she was sunk by the Japanese during the Battle of Sunda Strait, and her surviving crew members were taken prisoners of war. In the late 1940s, the U.S.S. Houston Survivors Association was formed. In addition to publishing a newsletter for survivors and their families and attending annual reunions, the association has done much to preserve the memory of the ship and her crew. The members collected historically valuable documents and memorabilia about the Houston, which they donated to the University of Houston Libraries. The materials donated by the association along with others acquired by the Libraries make up a number of collections in Special Collections, along with a permanent exhibit housed on the second floor of the M.D. Anderson Library. This exhibit is the location of a survivors event each year that marks the anniversary of the Houston‘s sinking. Special Collections also has an online exhibit with detailed information about the ship, her crew, the war, the prison camps, and the survivors. Archival materials relating to the U.S.S. Houston can be found in the Cruiser Houston Collection, the William A. Bernrider Collection, the Samuel Milner U.S.S. Houston and 2nd Battalion, 131st Field Artillery Papers, and the Captain Albert H. Rooks Papers. For more coverage of the anniversary and related events, see the Bayou City History blog, the Houston Chronicle, and the Cypress Times.